Thanet Crane Hire & Transport offer a comprehensive lifting and haulage service across the UK. They work on all kinds of lifting and transport projects, from installing telecom tower, through to lifting balconies into position on new homes. 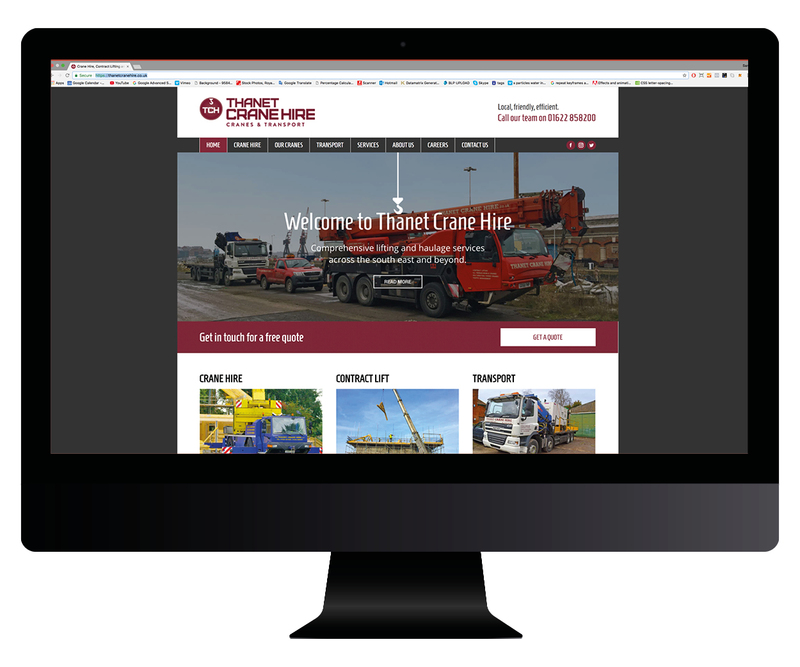 Thanet Crane Hire asked Popi to redesign the brand. The colour of their existing marketing materials had to stay, other than that, everything was subject to change. We presented a range of options which each portrayed the brand differently. We even included an option with traditional hand illustration to give an authentic feel. The chosen logo included the recognisable circular icon which is used as a standalone icon for social media profiles. Whilst developing the logo our web team were also mapping out ideas and sketches for the new Thanet Crane Hire website. 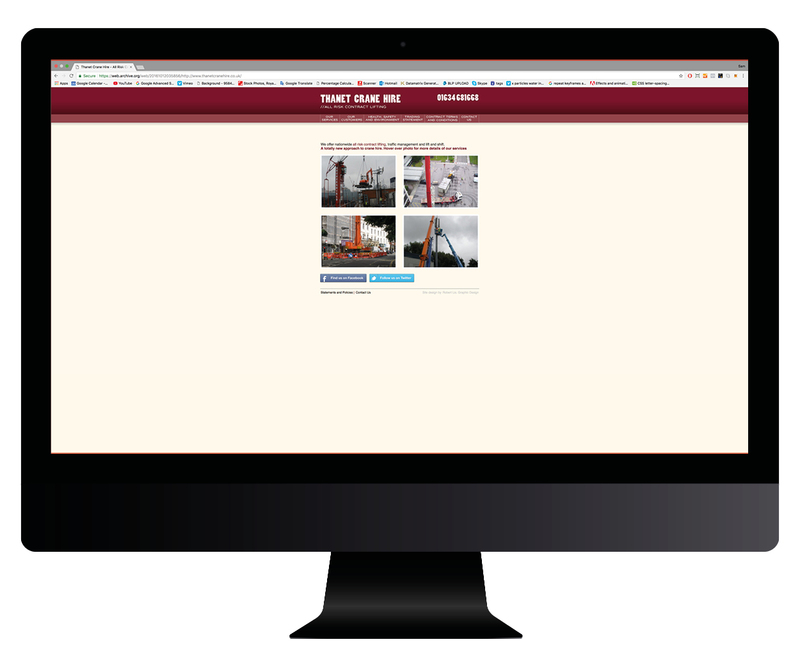 The site utilises an image lead design with emphasis on making everything as easy as possible for the end customer to hire a crane. As well as the website, we created a range of printed marketing materials. As we produce the digital and printed marketing assets we can ensure the consistency is perfect across the whole range.